Real Family Santa Call feedback. Many of Santa’s Kids have been with him from the age of 5, through the age of 14. 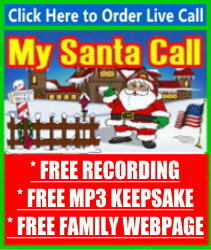 Santa has watched so many kids grow and enjoy the magic of the holidays for years with his yearly Live Santa Call. 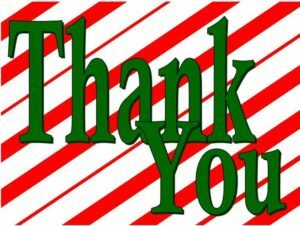 Here are some of the comments and feedback from REAL Family Santa Call families. …thank you very much for the jolly call yesterday. we didn’t know what to expect and were pleasantly surprised when Santa and his crew started their truly personalized conversation. thank you very much for this wonderful keepsake you were amazing! …thanks for making my kid’s holiday. the call was very special and will last forever. …it was the best gift this year. the magic is back in his heart. …it is wonderful and Santa really did his homework. he paid great attention to the notes we wrote. tying Jesus into the magical message made it that much more special. …having the web page to share this was very special as it helped bring our family together as a few are overseas in the military. ……the magic is back and the best part is we can now relive the moment over and over thanks to your recording online. thanks for making this holiday one to remember forever. …my mom did this for our children and WOW, talk about sparks. all our kids exploded with joy. ……some of her 2nd grade classmates told her that Santa wasn’t real. Your message really made her a believer. It is all that she can talk about. …if only every mother could have seen the look on my sons face when we told him. so cool. Add your family to the hundreds of extended family members at the north-pole. Go ahead and Place Your Santa Call Reservation Now to delete this page and create new pages for your content. Have fun!